It’s the 1st Wednesday of the month again. That’s when I take part in Alex J. Cavanaugh’s Insecure Writer’s Support Group. I encourage you to check out their website and even sign up for the IWSG Newsletter. 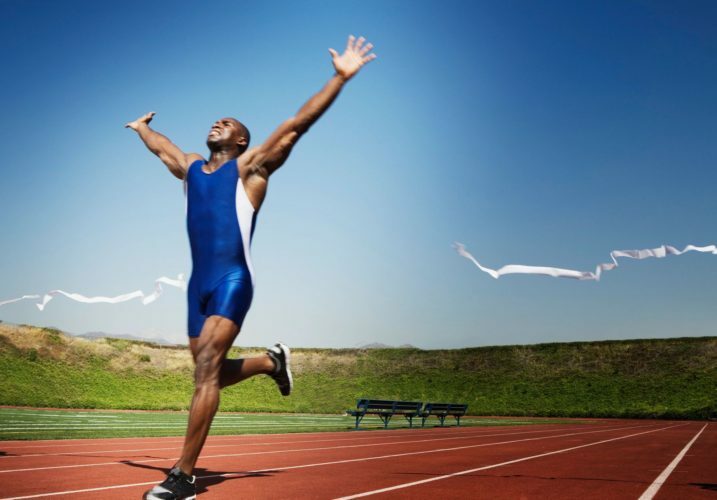 Today I’m going to explore how to approach your writing like an Olympian in training, as I answer the #IWSG question for August. I am not athletic by any stretch of the imagination. Believe it or not, I’ve never even watched the Olympic Games. But I do find the accomplishments of Olympians inspiring. We can certainly learn from them, what it means to try to be the best in their field. Since I’m not well-versed in Olympic culture, I did a lot of reading about how an Olympian trains. The advice can help us as writers. I will take the highlights of how to train like an Olympian and share how to apply them to your writing. The first thing we need to establish is that this is a hard journey. Just as an athlete doesn’t decide a month before the games that they are going to compete as an Olympian, a writer can’t say “I’m going to sit down and write a book to be published next month.” I know that there are plenty of books and blog posts promising you 30-day publication. I have also read plenty of books that I would guess took that route. They are fluff. Do you want to write fluff? I bet you would rather make an impact with your book. So, get the idea of quick publication out of your mind, right now. Anything worth doing is worth doing well—especially writing a book. The first thing you need to do is decide what you want. What’s your ultimate goal, and how will you get there? You would never set out on a journey without a road map or a GPS with the proper addresses plugged into it. In the same way, it is essential that you establish where you want to go with your writing. Once you have your specific goal in place, you can put together a plan to make those goals a reality. There is a proven way of doing this. It is an acronym used in by goal setters: SMART Goals. I won’t go into the details of implementing SMART Goals, but you can get those in this post. Nobel Prize winner and novelist, Ernest Hemingway, say that he writes first thing in the morning before anyone else comes along and bothers him. Maya Angelou also writes first thing in the morning, from 6 am until about 2 pm in the afternoon. In Victor Hugo Recounted by a Witness of His Life, Hugo’s wife, Adèle Foucher, recounts that when her husband encountered writer’s block, he would lock himself in a room wearing only a large shawl. He had nothing other than a pen and paper. How are you doing with your writing schedule? There are countless stories of how writers prod themselves to achieve their writing goals. How you do it will be up to you. Think about what distracts you and eliminate it. What time of day do you write the best (and most prolifically)? Do you work best when this is contained in blocks of time, or do you feel more inspired to achieve a certain number of pages or words? NaNoWriMo participants commit to writing 50,000 words in 30 days. When I participated in NaNoWriMo, I wrote 2,000 words a day, every day except Sundays. Physical problems such as carpal tunnel can interfere with your writing process. There are some simple ways to prevent this and other physical injuries that can happen to writers. This is especially important if you are suddenly increasing your output. Take frequent breaks. They don’t need to be long, but you should get up at least once an hour. Rotate your wrists. Gently stretch your neck and your back. Get up and walk around for a few minutes. This can be difficult when you are immersed in your writing, but it is important. It’s better than being sidelined due to repetitive motion injuries. Watch your form and posture, and do these simple exercises to prevent, or ease carpal tunnel syndrome. If need be, purchase wrist braces/splints to stabilize your wrists. Certainly, if the pain is impeding your life, see a doctor for a medical recommendation. You may be able to solve the problem with physical therapy and temporary use of NSAIDS and a brace. Or, you may need to have surgery. Early intervention is the best way to deal with repetitive motion injuries with the least invasive method. Are you getting enough sleep? Are you eating right? Are you getting enough exercise? Avoid unhealthy habits that lead to addictions and poor overall health. It is important to take care of your body so that you can focus on your writing. Health crises will distract you from your goals. Right now, I have 2 members of my family who are having major health crises. My writing has taken a total nosedive. So, there are things that we can’t control. Pay attention to those things that we can! Dickens wrote from 9 am until 2 pm. After that, he would take a 3-hour walk to refill his creative reservoirs. What is your well? How do you replenish yourself? It may be taking a walk like Dickens or it may be visiting with friends. Whatever it is, it may not sound as inviting as curling up to Netflix. But Netflix won’t cut it. Don’t get me wrong—I love Netflix. Give me an episode of NCIS any day, but it doesn’t stretch me as a writer. We need to be able to have all of the things we think about when we write, stirred up by doing something somewhat active. This helps our mental clarity and shifts our perspectives. Experiment with this. You will find the right way to end a writing session. This can make what you’ve written better than it is right now. This is a biggie! 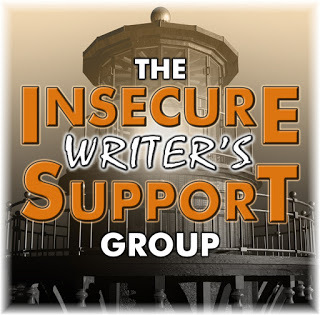 It’s why we are part of the Insecure Writer’s Support Group. We are insecure and wonder if we should just throw in the towel. For me, this happens whenever I am mere feet from the finish line. Any problem I encounter makes me want to quit. “It must be a sign!” I declare. What nonsense. But it feels so real. Don’t allow self-doubt to sabotage your efforts. Write positive affirmations to remind yourself that you can and will succeed unless you quit and guarantee you won’t. Have a friend who will encourage you, boost your spirits and hold you accountable. Reject any whispers of failure in the back of your mind. You are always so thoughtful in your approach to these questions, Heather. I admire that about you. Thanks for your advice. One of the biggest pitfalls for me is the last one you mention – self-doubt and discouragement. It usually happens after I’ve completed a big phase of the writing project – like the manuscript – and then the doubts come in. Those draggy little voices that tell you that the story’s not as good as you think, or that no one will find the book on Amazon anyway, etc., etc. Hi Eugene, I have the same problem. I wonder if it’s because we fear that all the work we have just put into the project isn’t going to bear fruit. It can be agonizing. I don’t think that most people realize the deep self-doubt that so many writers have to battle to finish a project like a book. It’s as difficult as the writing or editing. I remember one time, feeling like a total failure. Then, I got an email from a reader telling me what my book meant to her. That one email made it all worth it. Have an awesome week! I love metaphor as a tool for thinking and understanding, and your particular choice of metaphor is inspired. On my metaphorical road trip, I’m finding that having a schedule is making a big difference to me. My schedule makes writing time a priority. Other priorities are filling the well and sleeping and walking my dogs. As Flaubert said, “Be regular and orderly in your life, so that you may be violent and original in your work.” I can’t say that I’m anywhere near violent and original yet, but the routines are soothing to me so there’s hope. I’m sorry to hear that you’ve got a couple of major health crises happening right now. My thoughts and prayers are with you. Hi Karen. I love the Flaubert quote! In writing, I think of “violent” as making a dramatic impact. One really needs to have a clear and orderly mind in order to write something that’s untainted, something that makes that impact on the world. I think your work has a great impact. It has certainly challenged me. Have an amazing week! It’s so easy to get distracted, isn’t it? I’m never so hungry or thirsty or…anything…as I am when I first sit down to write. If I can force myself to stay seated and get those first words on paper, the other “needs” magically melt away. For me, early morning is the best time for writing, when the house is quiet and the cares of the day haven’t yet piled up. Hi Christie. Lately, I’ve found my kids to be a distraction. 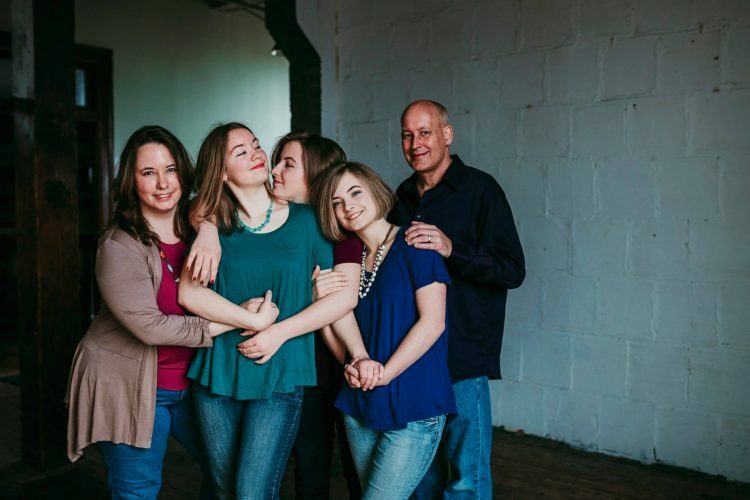 They are so much fun to horse around with (teenage daughters). We always have something to talk about. So if I really want to get something done I need to go into my office and close the door. Early morning is a wonderful idea. I just hate getting out of bed. Have a great, productive week! Great advice, Heather! Love the comparison of writers to an Olympian in training. Both require training and a lot of hard work. An early morning writing routine fits me and my lifestyle best – early in the day before the chaos of real life invades my head and space! Have a great week! Hi Sandra. Since I am a late night person, I tend to sleep in. This morning we had roofers tromping all over the place at 7 am so I got up early. What do you know? I got much more writing done than usual. What you said is so true. Early in the day is best. Have a great week! Thank you, Crystal. I just checked out your site and I love it! I look forward to reading more in the future. ← I’m in Australia this week!